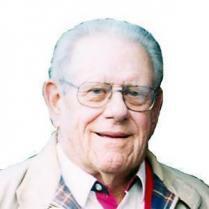 Walter Lowrie “Boots” Porterfield, 84, died March 9 at Fairview Transitional Health Center in Grants Pass, OR. He was a resident golf Professional at Grants Pass GC from 1957 to 1970. In his lifelong career as a PGA Professional, he also worked at George Lake at Recreation Park Public GC (Long Beach, CA), Milwaukee CC (Milwaukee, WI) – where he won the Wisconsin State Open, Grants Pass GC (Grants Pass, OR), Forest Hills CC (Reedsport, OR), Albany CC, Emerald Valley GC and Shadow Hills CC in the Eugene, OR area. Boots played on the PGA Tour in 1951. He was a very successful player in the Northwest, playing on the Hudson Cup team 12 times and winning the Oregon Chapter Championship 5 times. Memorial contributions may be sent to Lovejoy Hospice in Grants Pass (939 SE 8th Street, Grants Pass, OR 97526 or www.lovejoyhospice.org). No public services are planned.